Fijian Schoolboys Under-18 rugby prop Livai Natava is confident of a good outing in the Tri-Nations competition in Australia. The Moala native from Nadi was a member of the Anuilagi Marialolo captained- Fijian U18 side that flew out of the country yesterday. “This is my second time to be part of the tour and this is a great opportunity for us,” the Queen Victoria School student said. 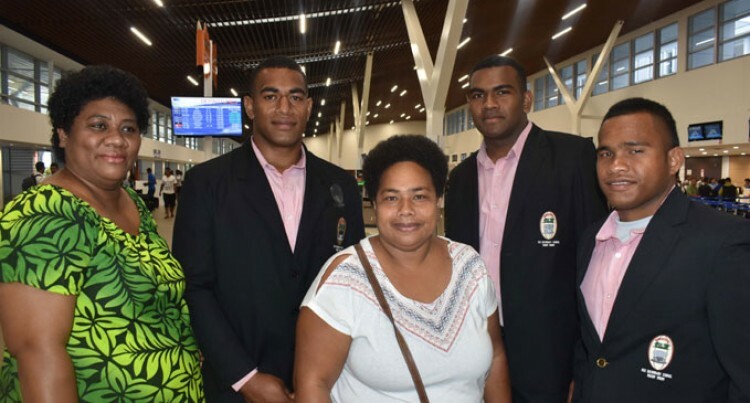 Natava is the grandson of former Flying Fijians legendary flanker Ilami Lutumailagi. Namotomoto native Anare Varo, said it’s their aim as a team to give their all and try to beat the giants of rugby. Varo is the cousin of former Flying Fijians flanker Kitione Salawa. Fijian U18 manager Jiutasa Moceisua said their preparation has been going well. He said the side have been boosted with the performance of the Fiji Airways Drua side during the Australia National Rugby Championship. Moceisua said they would be going in as underdogs against New Zealand and Australia. He confirmed that 30 players and eight officials are part of the tour.